Christmas is here! I gave all the turkeys of the world their moment by celebrating Thanksgiving and not posting about Christmas, but now that it’s here and over I figured I get to it about posting why we treasure our holiday traditions. Growing up I didn’t have traditions besides putting up the tree and calling it a day. We weren’t raised to appreciate family time and having something we can call ours every year. Looking back on it, it’s something I wish we had and wish that my parents pushed it. Now with a family of my own there’s more to just putting up a Christmas tree– I make sure to have traditions no matter what. No matter how tired I am, no matter if there’s no time, no matter if someone is crawling by a limb (lol), I make sure that it’s done because whether my kids hate it, later on they’ll appreciate it when they’re older. 1- If you followed along last year you know that one of our top traditions from the blog post Christmas Traditions & Home Decor is cutting down our own tree. Yep! Cutting it down. We take our time in finding the perfect tree for our family and then within minutes it’s ours. It’s a tradition that came from my spouse and a tradition I fell in love with. 2- Next it’s putting up all the ornaments– we love all our ornaments as some of the pieces have been passed down to us from past generations. 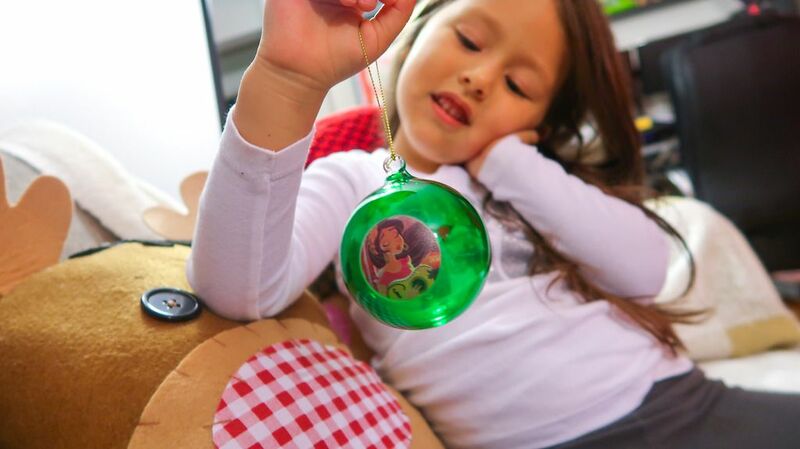 Another thing we do is have Ziana pick out a new ornament or gift her a new ornament; this year it was all about Elena of Avalor so what better way to keep on the celebration than an Elena of Avalor ornament. 3- The next part of that tradition is decorating the home once the tree has been put up all while listening to Christmas music. 4- Purchase a few toys for children in need thanks to a great program that BJs has. 5- Then of course is stock up on everything Christmas from our outfits to our reading selection. 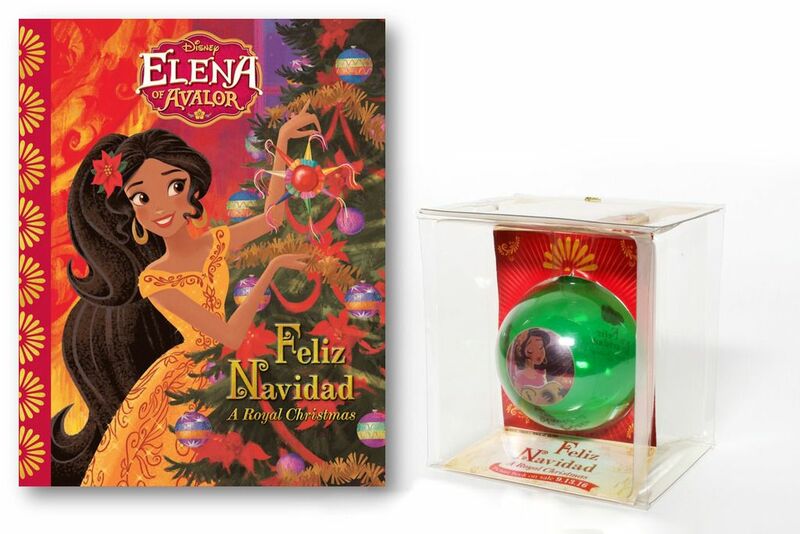 Disney came out with a special Christmas/Feliz Navidad book from Elena– bringing together one big feast on how everyone celebrates their Navidad. An important message to expose your child to be courteous and respectful of how everyone celebrates the holidays. 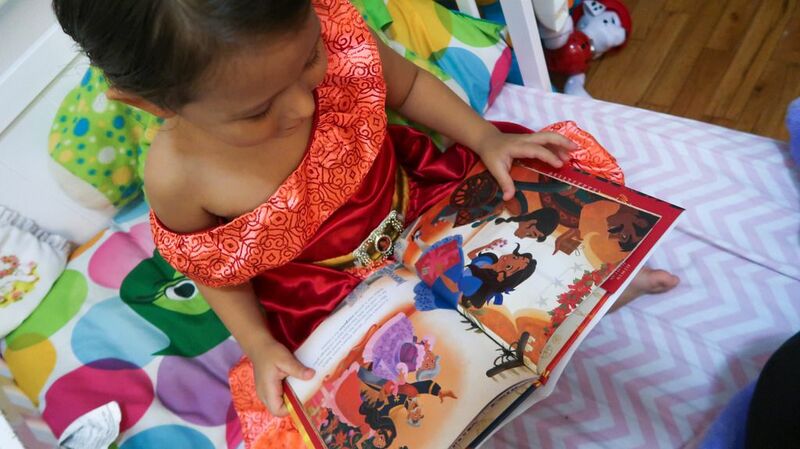 Besides our traditions which included Elena of Avalor book and ornament this two-piece set would be great for any little girl who has fallen in love with the strong and fearless Disney princess. Win your own below! What are some of your holiday traditions?? Thanksgiving Toddler Hairstyle Idea My Winter Coat Collection! My favorite Christmas traditions are baking cookies, wrapping presents, and watching some TV shows, like Home Alone! I put my tweet link on the comment section! We like to make cookies, the elf on shelf visits from December 1st and leaves with the Wise Men on the Morning of January 6. We invite cousins for a movie night/sleep over every twice in December. Wow I love that sleep over idea– we haven’t had one with her cousins in years! Maybe we can add that little tradition! My family’s Christmas traditions are hiding a fake pickle in the tree on Christmas Eve then on Christmas morning the first child to find it gets to open their first gift. And on Christmas Eve we would watch as many Christmas movies as we can with some hot coco and homemade baked cookies. And can’t forget about the elf on the shelf! Niiiice my niece got me hooked on this TV show love it!! And I know she would love it too.